Asking for the Order - What Is Your Takeaway from This Story? Just last month Debra Yearwood, a fellow blogger whose posts I follow every Tuesday and Saturday, hit a milestone in her blogging endeavors – one year anniversary of blogging! Celebrating this milestone, she opened her blog to guest authors. The common theme for all guests on her blog this month is Storytelling. The only “requirement” she had is that we, her readers, learn some lessons about communication from those stories. 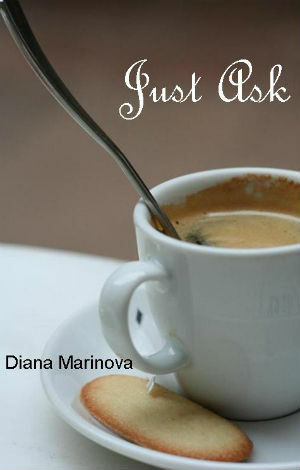 If it’s not clear yet from the title – my guest post is about asking for the order. I sum up some communication lessons after I tell my tale but please, do tell us in the post comments section what YOUR takeaway of my story is. Guest posting can be fun and is good for your writing résumé. 🙂 It’s also a good way to get more readers to your blog! Good for you for contributing Diana. I haven’t been to Debra Yearwood’s blog recently. This will give me a good excuse to visit. Contributing is good – too bad time is never enough for everything we want to do 😀 I would love to hear your thoughts, Sherryl, on the asking for the order post over at Debra’s blog comments 😉 Thanks for stopping by! Read your post, Diana. I have never guest blogged, but from what I gather, It would appear to be a positive way to garner more readers to your site. Blessings. Guest blogging is good for you in so many ways – introducing your blog to new readers is just one of them. Maybe i can blog about it some other time 😉 Thanks for your comment, Dr. Johnny Velazquez – i hope you liked the post over at Debra’s blog! Nice that you are doing a guest post on Debra’s site, heading over now to read. thanks for the support, Ashley! Diana — I left a comment on Debra’s post. I think I was the second comment and now she has over 40! You were an excellent guest Diana. You stayed true to the tone of the site and shared a great lesson. Thank you so much.